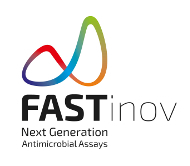 Fastinov is a Portuguese company that developed an innovative Antimicrobial Susceptibility Test. FastInov's technology delivers fast, reliable and comprehensive results to physicians when deciding which drugs to prescribe to their patients, on microbial infections' treatments. FastInov is an active portfolio company of ISTART I.